The DM-2010-606 is an IP66 camera housing w/ wall bracket from Dedicated Micros which is designed to provide high support and protection for fixed and zoom lens cameras. The DM-2010-606 housing comes with a demisting heater, a die cast robust aluminium construction, an adjustable positioning option, multiple voltage options, as well as automatic switching via photocell, and additional remote on/off control switch inputs. The DM-2010-606 housing also features an alocrom powder coat finish, a compact size, a 10W power consumption, plus is designed to offer simple installation into most setups. 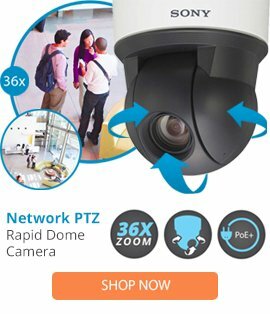 This security camera housing can easily provide high operation, and can be used in a range of different outdoor installations.